Food workers handling shiitake mushrooms have a raised risk of developing severe occupational asthma, a study concludes. 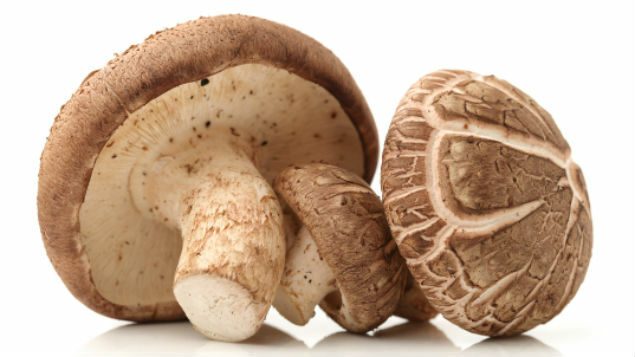 The asthma attacks identified in the study stopped when patients avoided contact with this particular type of mushroom, prompting the authors to claim they have identified the “first European case of shiitake mushroom-induced occupational asthma, a disease more frequently occurring in Asia”. Pravettoni V et al. ”Shiitake mushroom (Lentinus edodes): a poorly known allergen in Western countries responsible for severe work-related asthma”. International Journal of Occupational Medicine and Environmental Health, first published online 20 August 2014. Working lots of overtime is a risk factor in the onset of depression among male workers, a Japanese study finds. Men working more than 60 hours a week were more than four times more likely to develop a depressive disorder than colleagues working fewer than 50 hours, even after adjusting for age, lifestyle factors, and work-related and other socio-demographic characteristics. Kato R et al. “Heavy overtime work and depressive disorder among male workers”. 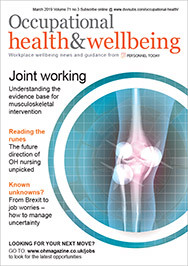 Occupational Medicine, first published online 25 September 2014. Those with a professional interest in occupational epidemiology will need to concentrate their research efforts on what is important, rather than on what they know how to study, said David Wegman, speaking at the 2014 International Epidemiology in Occupational Health meeting in Chicago. 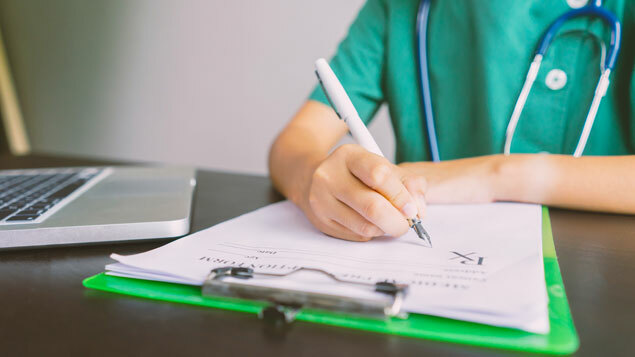 In order to meet future challenges, academics and researchers will need to expand the number of conditions and environments that they study, rather than restricting themselves to “narrow expressions or concerns”, he stated. Other challenges facing the field include “acting on what we find”, advancing occupational disease surveillance, examining the data and addressing health disparities, Wegman added. Wegman D. “Challenges for occupational epidemiology in the 21st century: observations and opportunities”. Occupational and Environmental Medicine, first published online 17 September 2014. Common mental health disorders are frequently reported by ex-military personnel who also have a visual, hearing or physical impairment, according to a systematic review. A range of mental health disorders were investigated, predominantly post-traumatic stress disorder (PTSD), but also depression, anxiety disorder, psychological distress and alcohol misuse. All except the last condition are frequently identified among the physically impaired exmilitary, with PTSD the most frequently reported, prompting the authors to conclude that “adequate care and support is necessary during the impairment adaptation process to facilitate psychological challenges (ex-)military personnel with impairment face”. Stevelink SAM. “The prevalence of mental health disorders in (ex-)military personnel with a physical impairment: a systematic review”. Occupational and Environmental Medicine, first published online 16 September 2014. Two recent studies explore the relationship between night-shift working and health risks. Nightshift working has been linked to a number of chronic diseases, possibly due, in part, to the modification of lifestyle required to work at night. The first study explores the association between night-shift work and lifestyle factors among Polish industrial workers, including smoking and drinking behaviours, physical activity and body mass, number of main meals and the time at which the last meal of the day is eaten. Recreational inactivity, defined as less than an hour a week of physical activity, is associated with current night working among men, as is an increasing body mass index score. Abstaining from alcohol and a later time of last meal is associated with night-shift working among women. A second study explores the association between workers’ history of night-shift working and their risk of developing cancer or cardiovascular disease. It finds that night shifts may contribute to an increased risk, but that the risk factors for disease vary depending on the age at which night-shift work was performed. For example, nightshift work before the age of 25 is associated with fewer risk factors (such as smoking, high caffeine intake and short sleep duration) compared with night-shift work at older ages. Peplonska B et al. “Night shift work and modifiable lifestyle factors”. International Journal of Occupational Medicine and Environmental Health, first published online 12 September 2014. Ramin C et al. “Night shift work at specific age ranges and chronic disease risk factors”. Occupational and Environmental Medicine, first published online 26 September 2014. Trade union representatives believe that an organisation’s culture is one of the most important factors in determining whether or not an employee with depression returns to work, according to a Canadian qualitative study. Other factors that union members taking part in the study’s focus groups identify as important are the support and follow-up provided to individuals, the lack of resources available to help workers with depression come back and “stakeholders’ prejudices and discomfort regarding depression”. Corbiere M et al. “Union perceptions of factors related to the return to work of employees with depression”. Journal of Occupational Rehabilitation, first published online 27 September 2014.